These Gluten-Free Vegan Apple Muffins are subtly spiced, surprisingly healthy and packed full of juicy apples! They’re great for breakfast, brunch, dessert or a snack and are perfect for meal prep! the recipe is versatile and easily customisable. you can cut down on the amount of maple syrup or omit it entirely if you want to make them no added sugar. 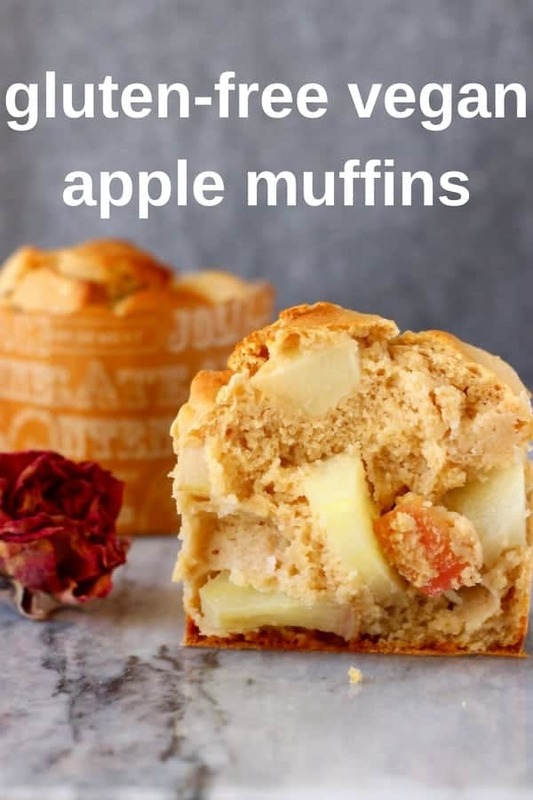 I prefer the apple chunks in these muffins to be tender but still have a little bite, so I decided not to cook them first before adding to the mixture. And I didn’t peel them because I love how the skins add little pops of colour, and this also makes them healthier and easier! 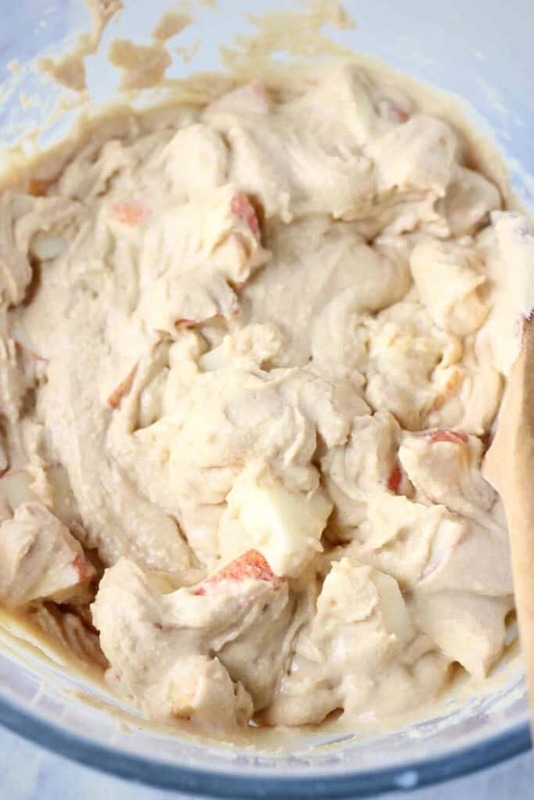 However, if you have any problems with any of the above and prefer your apples to be super soft and silky, you can always peel the apples and cook them in a pan beforehand. 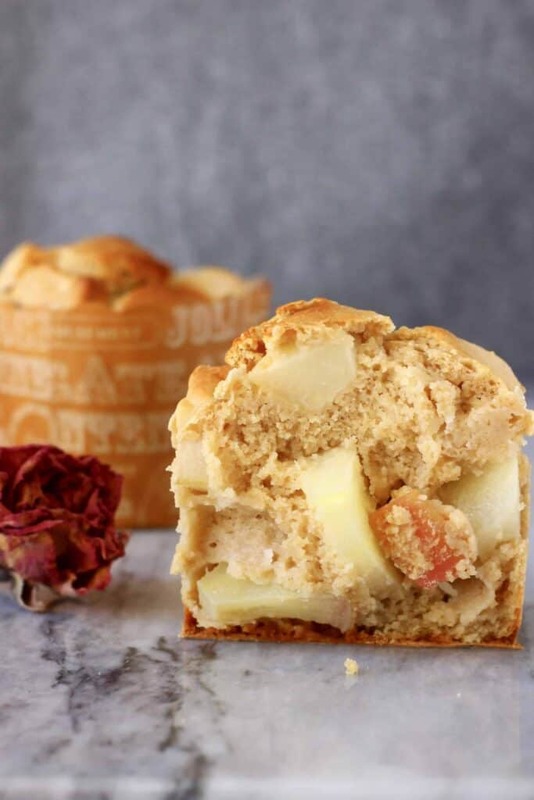 How long do these Apple Muffins keep for? Though these muffins do taste best when fresh, they keep well covered in the fridge for up to a few days, and freeze well too, which makes them great for a quick breakfast. If you have just taken them out of the fridge of freezer, I’d recommend warming them up in an oven toaster if you have one. These Gluten-Free Vegan Apple Muffins are subtly spiced, surprisingly healthy and packed full of juicy apples! 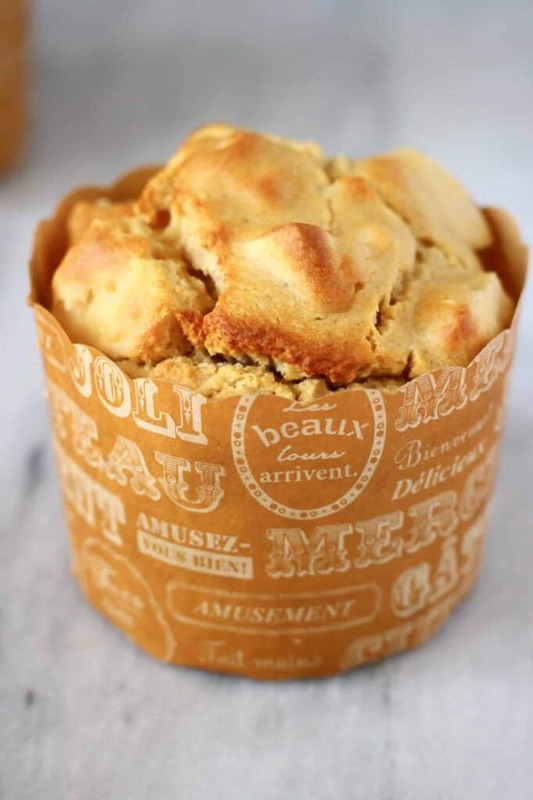 very successful and Very tasty muffins. Thanks so much.!!! Aw great thank you so much! Can I just replace the flour with cornmeal and cornstarch and omit the almond flour/meal? If so, could you recommend the amounts? Thanks for your question! I’m not completely sure if that would work as the flour is quite necessary for holding it together and it might be too dense to just use cornmeal. 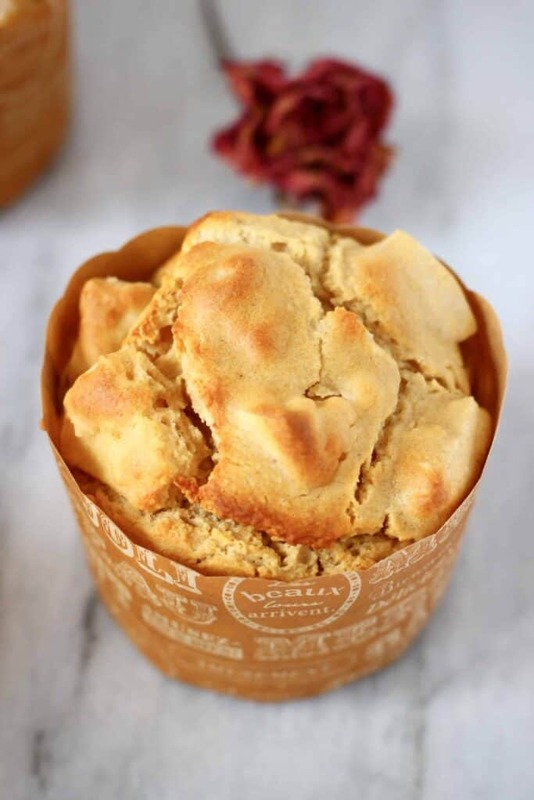 You could use my cornbread recipe for inspiration (that one doesn’t contain almonds but it does require flour): https://www.rhiansrecipes.com/gluten-free-vegan-cornbread/. Hope that helps! 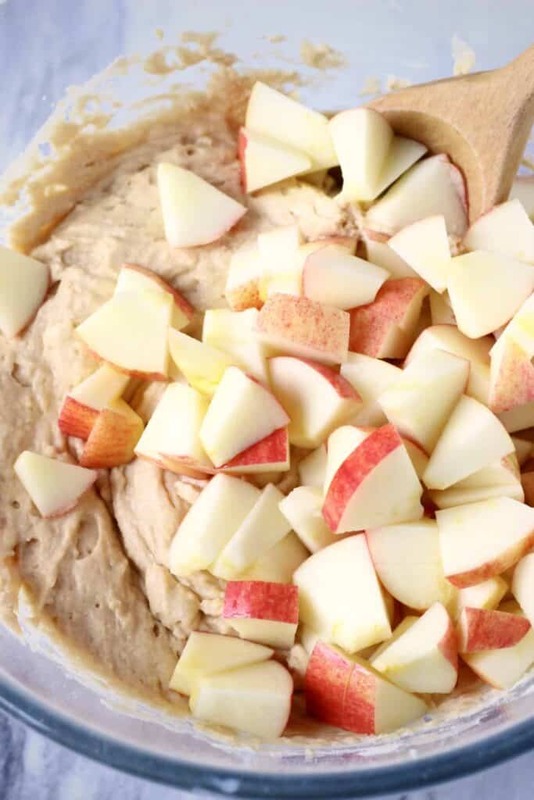 Hi – the recipe doesn’t say when to add in the apples. I assume at the end? Yes! I’m so sorry that was a mistake on my part – I’d completely forgotten to add it to the instructions. Thank you so much for letting me know! Thank you so much Frankie, so glad you liked these and my other recipes! Please let me know if you ever have any requests! Thank you! I bought them in Japan unfortunately so don’t know where else you can find them..perhaps online? Sorry!